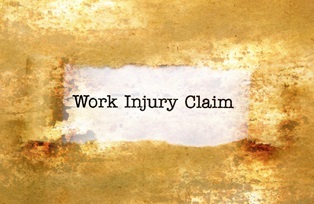 Florida Struggles with Workers Compensation Reform | Johnson & Gilbert, P. A. On December 1, 2016, Florida employers received a 14.5 percent increase on their workers’ compensation insurance premiums due to a decision from the Florida Supreme Court. In an effort to bring costs down, both the Florida House and Senate drafted bills to reform the workers’ compensation system, but lawmakers could not agree on a compromise in time to take effect for the coming year. Attorney fees. In successful workers’ compensation claims, insurers can be held liable for the injured worker’s attorney costs. Last year, the Florida Supreme Court ruled that the Legislature’s previous caps on attorney costs were unconstitutional, as the costs could amounts to less than $2 an hour for an attorney’s work. The caps made it less likely that attorneys would take on complicated workers compensation cases, ultimately giving injured workers less access to the court system. The Senate’s legislation proposed a cap of $250 an hour for workers’ claims attorneys, while the House bill capped fees at $150. Medical providers. The House bill favored slashing reimbursements to medical providers who treat injured workers, while the Senate proposal was opposed to this action. Adopting a loss-cost system. The Senate’s legislation included a provision to move Florida to a loss-cost system, which allows insurance carriers to propose rates tailor-made to individual companies. Currently, rates are assigned collectively through the National Council on Compensation Insurance (NCCI). Employers are paying more than ever to cover the costs of injured workers, which could mean cuts in disability payments and covered conditions in order to recoup costs. If you're having trouble getting compensation after an injury at work, our attorneys can get you the compensation you deserve. Call us today or fill out the form on this page to set up your consultation.